Most teenagers have an idea of what they want to do for their future. Others, not so much. Junior, Jess Vardon, saw an opportunity to help other students narrow down their options and started the Future Medical Professionals club. “Last year, I was looking to join a science club and I noticed that the only one was Forensics (CSI Woodland), and I wasn’t too interested in that,” Vardon said. “So, I was like, looking, and remembered how one of my friends made her own club… I can make a club.” Future Medical Professionals is unique in the sense that it does not narrow itself down to one profession or interest. Jess wanted to make sure everyone was included, and not just people who knew they wanted to be doctors, nurses, or anything specific. 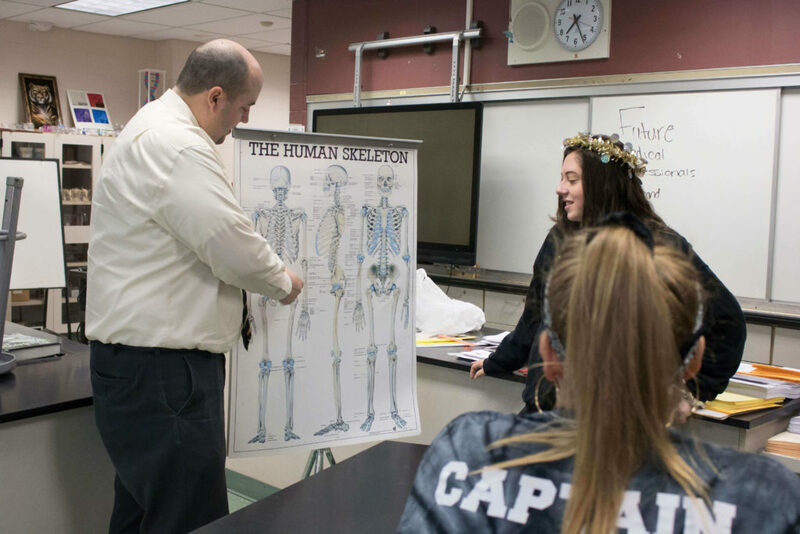 “I saw an idea for a Future Medical Professionals [club] and I was like ‘Oh my god, that’s such a good idea, because a lot of kids in Woodland are interested in the medical field. A lot of them are interested in sports medicine, nursing, and stuff like that.’” Jess hopes to emphasize that it’s not just for future doctors, but anybody can join, like people who want to be veterinarians, or EMTs, or even people who don’t know what they want to do. Another interesting aspect of Future Medical Professionals is that there are few clubs with the same mission around the country. Vardon said that she did a lot of research, and only found two similar clubs, both in Indiana. She contacted two club advisors, and one got back to her, giving her many ideas for the coming school year. This year, one of the plans of the Future Medical Professionals is to host a number of guest speakers who are in the medical field the last Wednesday of every month, such as possible eye doctors and EMTs. Other plans include possibility of getting CPR certified and watching medical videos. They will also be doing fundraisers for children’s hospitals, even dedicating a Saturday at some point to helping at a hospital if possible. The club will be meeting the 2nd and 4th Wednesday of every month, and if you’re interested in the medical field, this is definitely a club for you.